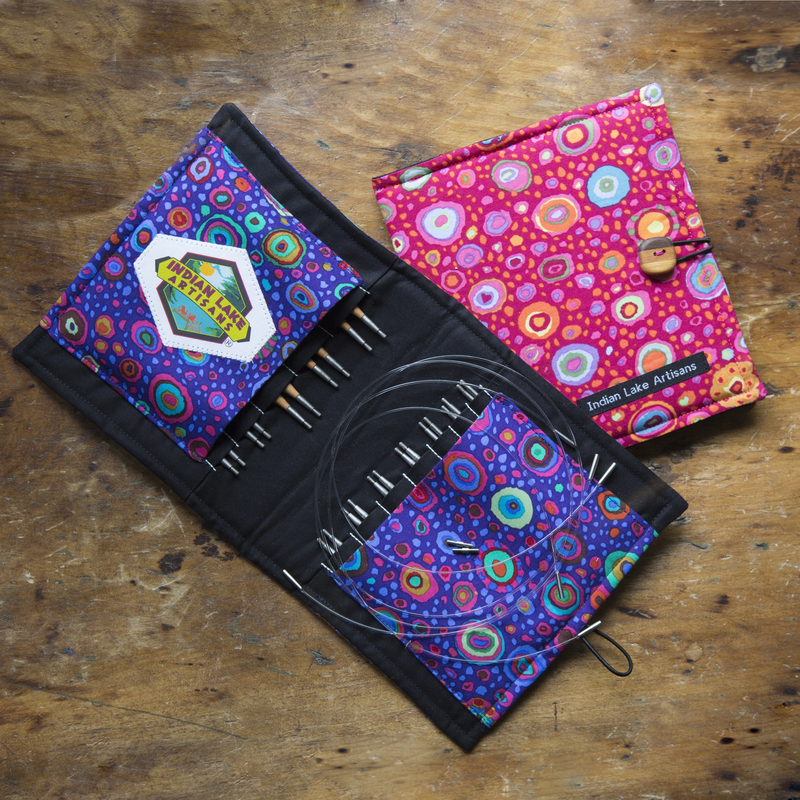 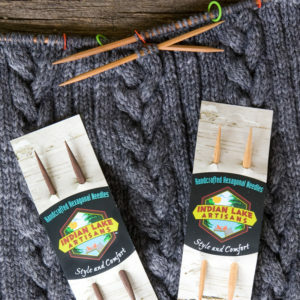 The Indian Lake Artisan single point needles are all hexagonal in shape and are available in nine sizes: US Size 6 through US Size 15. 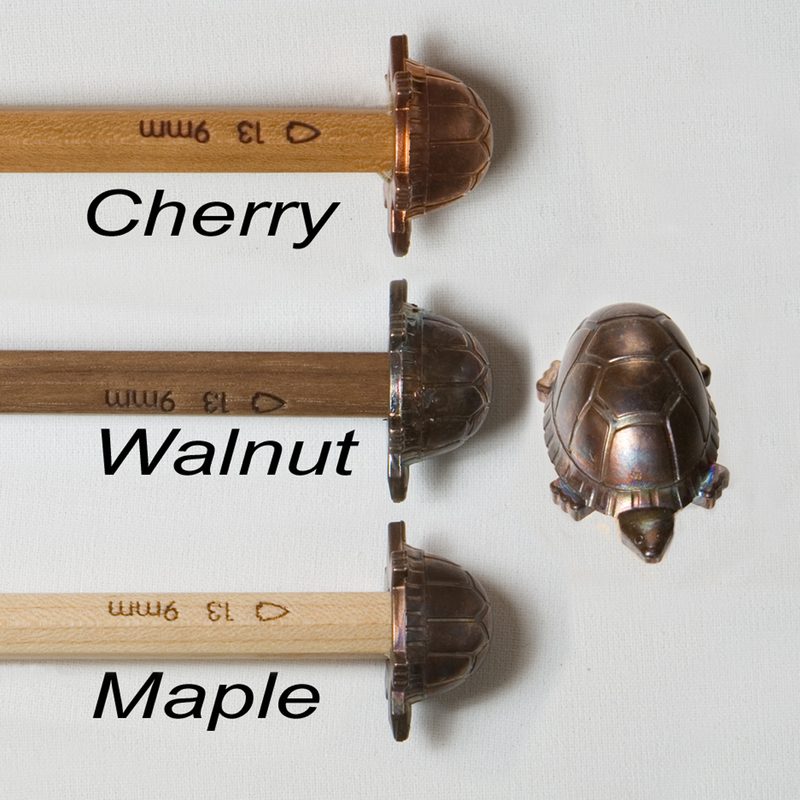 You have a choice of Walnut, Maple and Cherry hardwoods in a 10″ and 14″ length. Each size has its own unique copper topper. 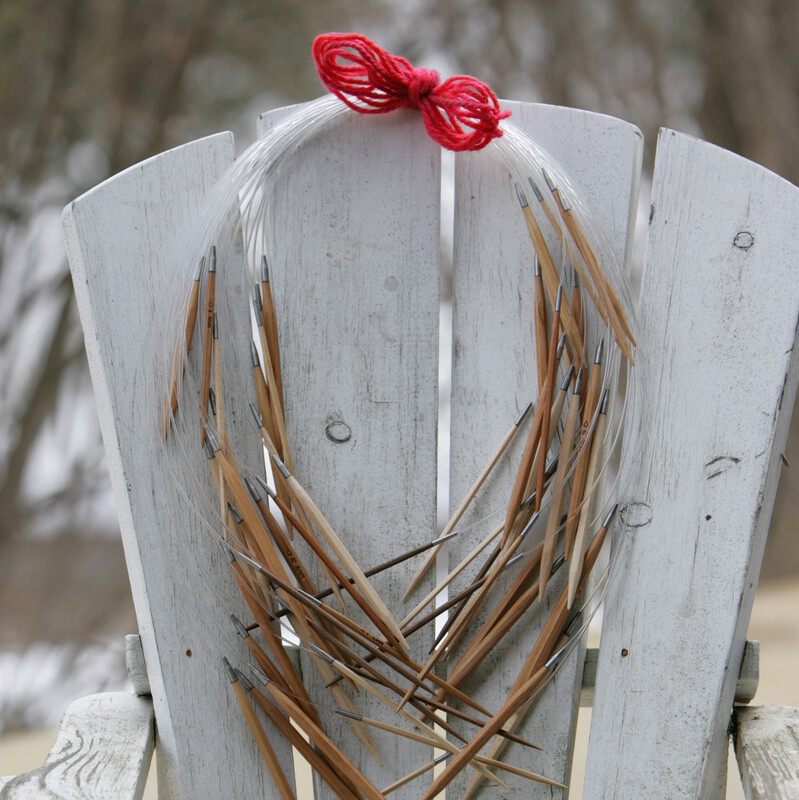 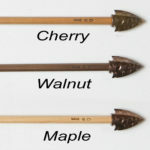 The needle and the topper are very lightweight, have a wonderful balance and beautifully tapered tip. 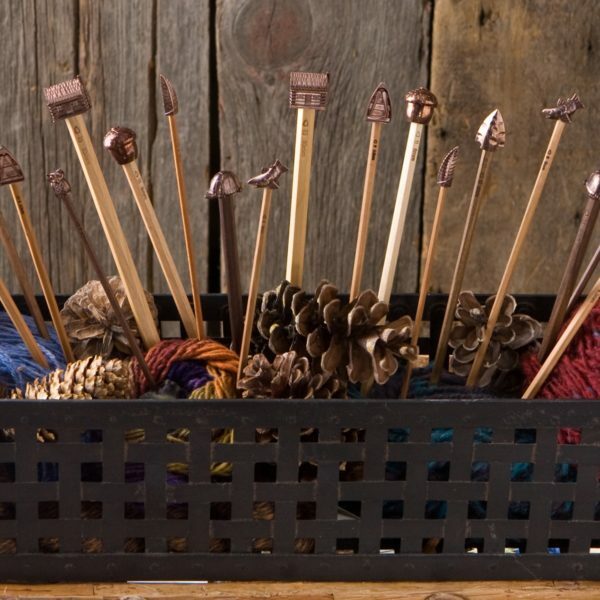 Toppers for each needle include Size 6 — Feather, Size 7 — Owl, Size 8 — Fish, Size 9 — Rowboat, Size 10 — Arrowhead, Size 10.5 — Lantern, Size 11 — Acorn, Size 13 — Turtle, and Size 15 — Cabin. 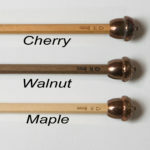 Custom needle lengths are available for all single point needles at no additional charge. 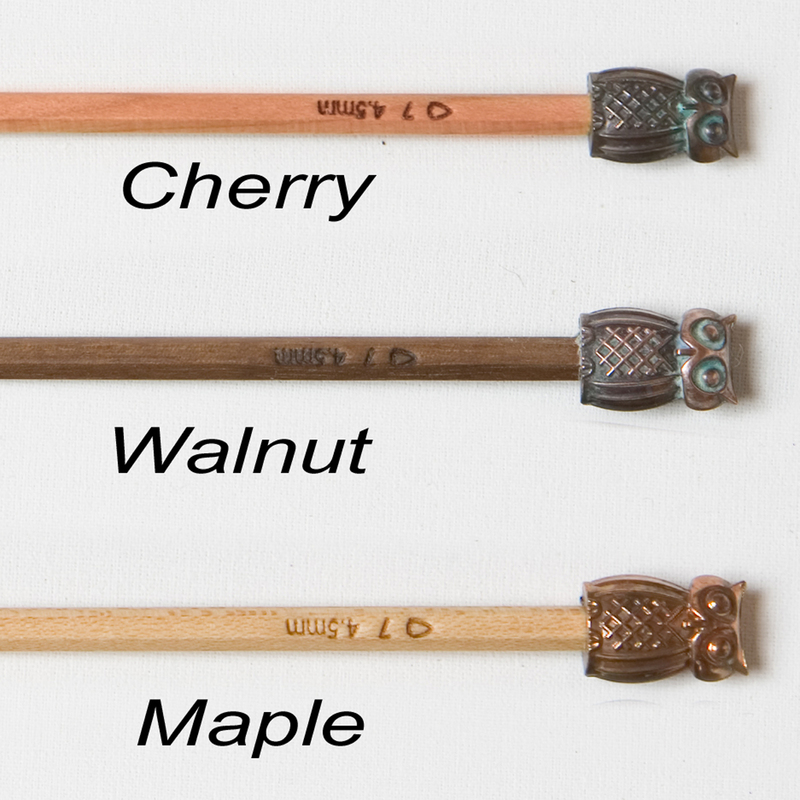 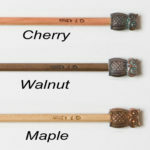 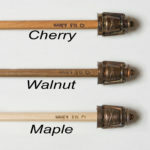 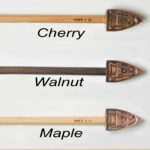 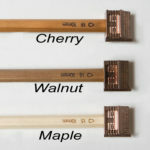 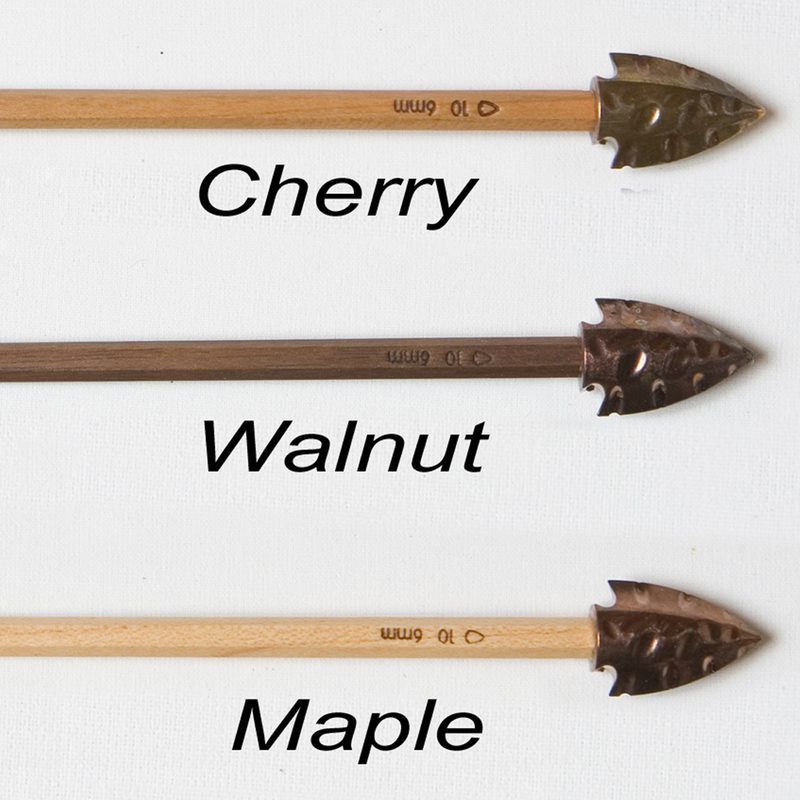 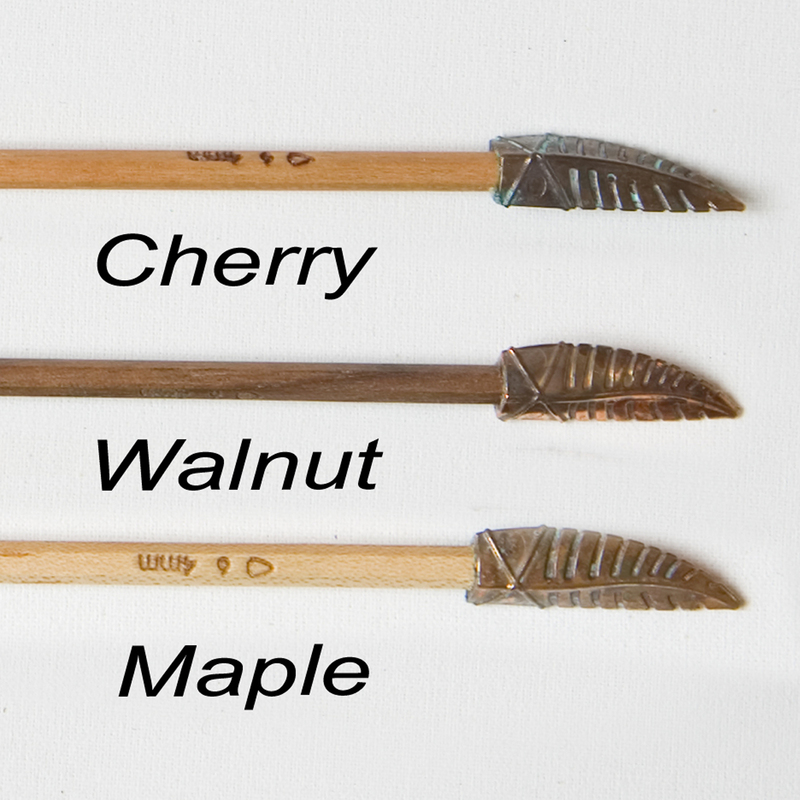 We handcraft our hexagonal knitting needles using three sustainable North American hardwoods; walnut, cherry and maple. 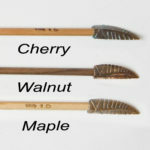 The maple is the lightest in color, the strongest, and when we hand sand the needles, because of the dense wood grain, it polishes up to be the slickest of the three woods. 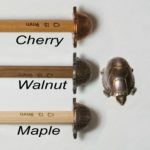 The maple will never be as slick as a metal needle and the hexagonal shape keeps the stitches where you want them to be. 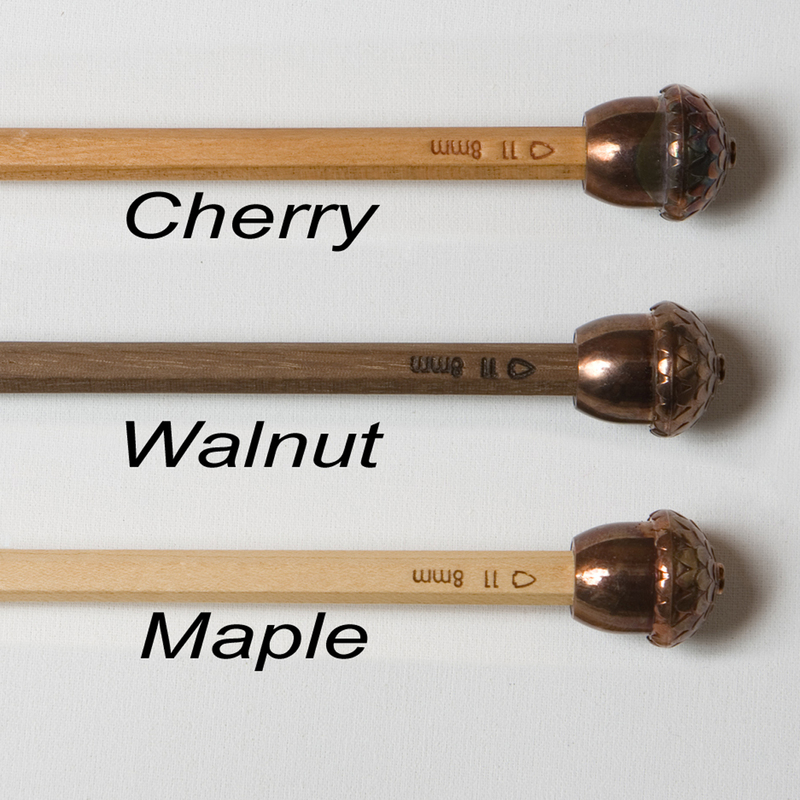 The cherry wood is a medium honey color and is the middle range of slickness, and the walnut is the darkest color, chocolate like, and has the most grab. 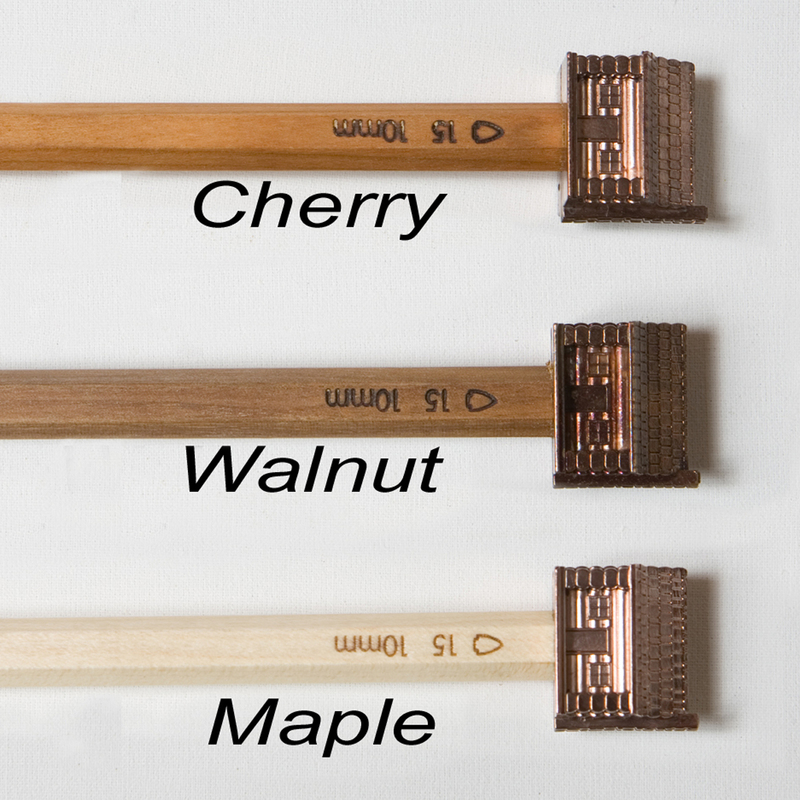 All three woods are smooth and the differences are fairly minor. 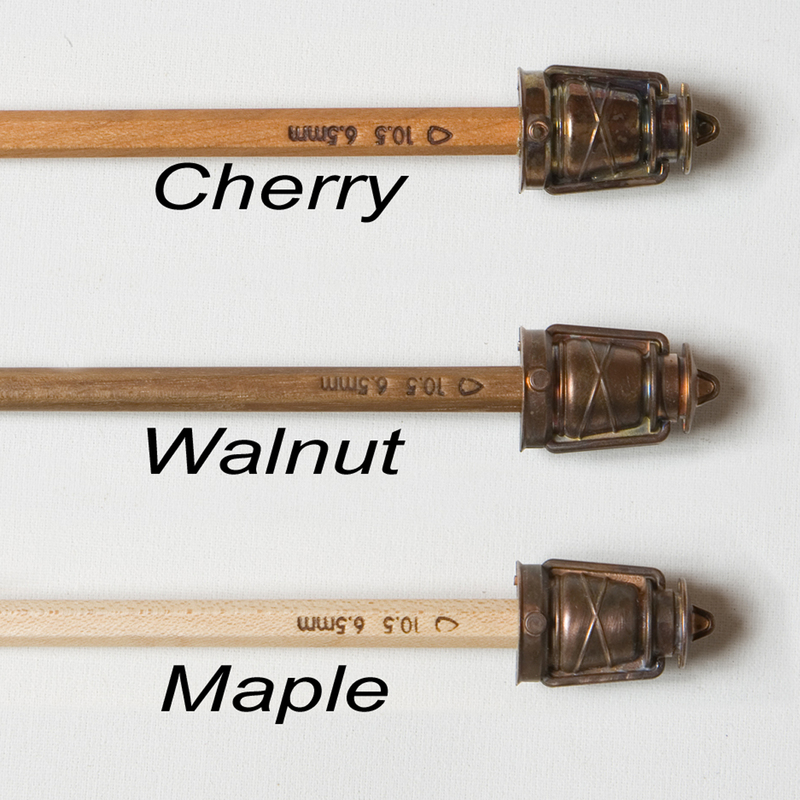 The size 2 is our smallest size and we can only make the size 2’s in the maple wood. 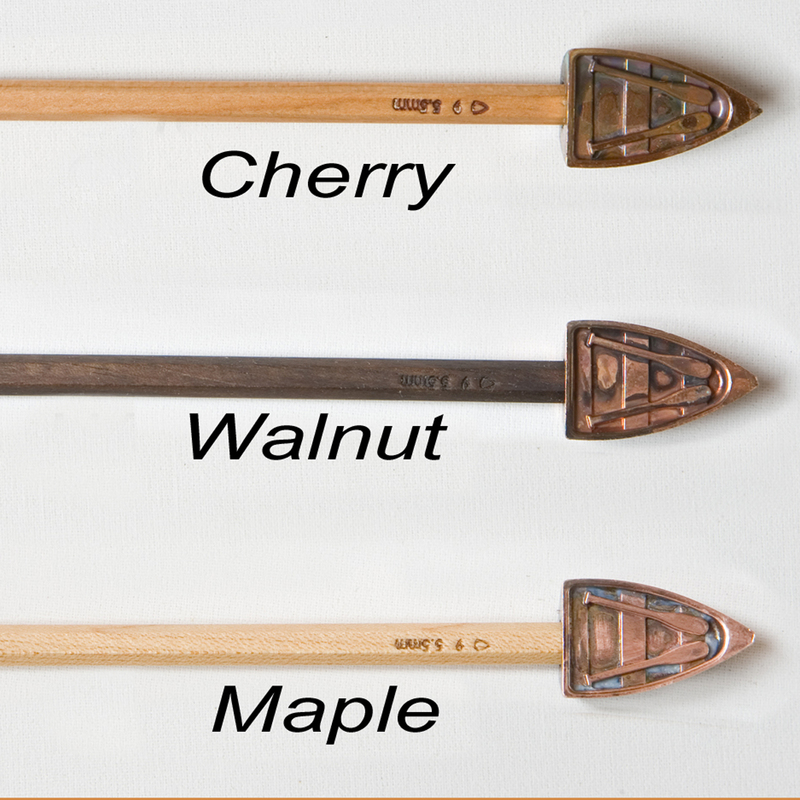 Sizes 3, 4 and 5 we make in maple and cherry, and the size 6 and larger we can add in the walnut. We use 100% natural Michigan beeswax to condition the wood during the sanding process. 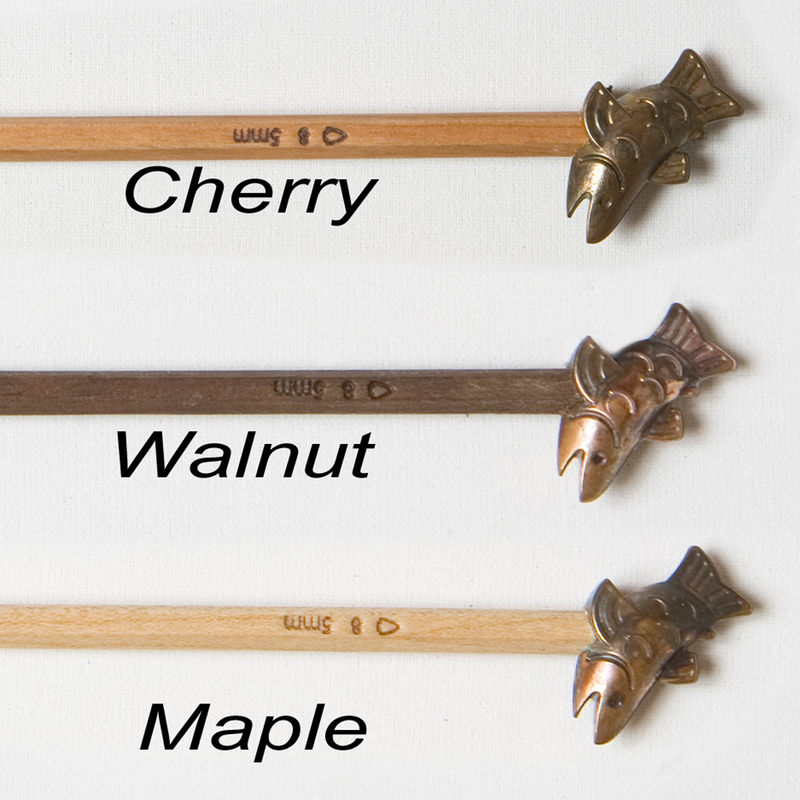 There are no laminates or toxic finishes.